1. Financial responsibility entails being accountable for managing money in order to satisfy one’s current and future economic choices. 2. Financial responsibility involves life-long decision-making strategies which include consideration of alternatives and consequences. 3. Competencies (knowledge and skills), commitment motivation and enthusiasm), training, work ethic, abilities and attitude are all factors impacting one’s earning potential. 4. Income sources include job earnings and benefits, business earnings, saving and investment earnings, government payments, grants, inheritances, etc. 5. Taxes, retirement, insurance, employment benefits, and both voluntary and involuntary deductions impact take-home pay. 6. 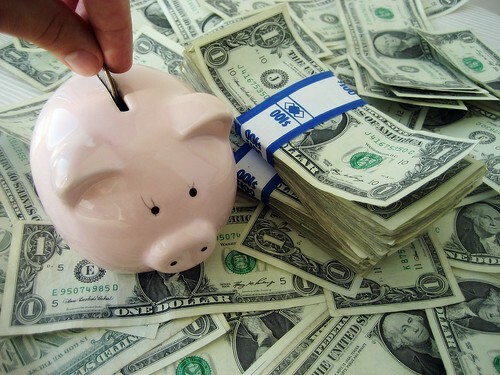 Financial responsibility includes the development of a spending and savings plan (personal budget). 7. Financial literacy includes a decision-making strategy on purchasing. 8. Financial institutions offer a variety of products and services to address financial responsibility. 9. Financial experts provide guidance and advice on a wide variety of financial issues. 10. Planning for and paying local, state and federal taxes is a financial responsibility. protect against potential consumer fraud. consumer lending statements, terms and conditions enable one to be an informed consumer. 14. Consumer protections laws help safeguard individuals from fraud and potential loss. tax, shipping, handling, and delivery charges, etc.). 16. Using key investing principles one can achieve the goal of increasing net worth. selected and allocated, product costs, fees, tax implications and the time value of money. agrees to repay to lender at some later date. 20. Debt is an obligation owed by one party to a second party. 21. Effectively balancing credit and debt helps one achieve some short and long-term goals. conditions of establishing credit and incurring debt. 23. Credit and debt affect tax obligations. 25. Safeguards exist that help protect one’s identity. 26. Diversification of assets is one way to manage risk. 27. A comprehensive insurance plan (health, life, disability, auto, homeowners, renters, liability, etc.) serves as a safeguard against potential loss. Last fall I purchased Foundations in Personal Finance from Dave Ramsey. Every Friday, my high school students and I watched the DVD's together, and then the students filled out their workbooks and took the tests. It was NOT as dry as it sounds. The DVD's are well made, interesting and even fun to watch. The presenters used examples and personal stories - and if you've ever heard Dave Ramsey on the radio, his humor and wit comes through loud and clear in this course. This course treats the high school student like young adults and urges them to take control of their financial life now while they are still in high school. As a 50-something year old mom, I learned from the course too, especially later in the course with lessons in insurance and disaster planning. After reviewing the requirements from the state of Ohio, I am confident that this course meets and exceeds expectations and I would highly recommend this course to any high school family (homeschool or otherwise!) for sound instruction in money management and preparation for their students. Hi there! I have purchased this program and will teaching it with my 10th grader soon. How long did it take you to complete the program? Is this something we could do for only half of the year? You could totally get it done in half a year. We did it mostly every Friday and got it done in the spring!